Anti Gimmick Health: Feed Your "Second Brain"! One of the hottest topics in the functional medicine world is what is referred to as "the second brain". Have you ever heard of "the second brain"? No ladies, it's not that. It is your gut, your digestive system, that long journey that your food takes from your mouth to Uranus. More and more everyday, through medical research, we are seeing the importance of maintaining the health of our gut and the detrimental effects to our overall health when it is not kept operating properly. We know that the systems of our body do not operate independently of one another. They each are dependent upon and affected by imbalances or issues in the other systems. This is especially true of the microbiome world operating in the nether regions of our bowels. Modern research indicates that what happens, or is not happening, deep within us can cause, or contribute to many chronic illnesses- everything from burping and bloating to bipolar disorder, depression and even schizophrenia. This is why your glorious gut has been referred to as "the second brain". You may want to tell your other personality to pay close attention at this point. I personally know so many suffering with different levels of digestive issues. Don't you? Do you think it is a coincidence that there are entire aisles in your local drug store with different types of antacids, diarrhea and constipation medicines, stool softeners etc....? We obviously have a problem, and unfortunately many of us are only treating the symptoms. I have dealt with this issue to some extent myself, though my issues are mild compared to some. I know some of you deal with digestive issues that really disrupt your life, and doctor after doctor has really been of little to no help. I am not a doctor, but I would tell you that there is hope. You can find healing and relief from your misery. You can get help from suggestions I will make later, but I strongly encourage you to find a highly qualified, functional medicine practitioner. 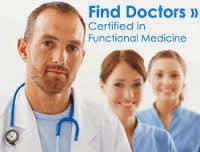 You can find someone in your area through The Institute for Functional Medicine. In addition, become your own health advocate. Do your research, but make sure you get information from reputable sources such as the Mayo Clinic, Cleveland Clinic to name a couple. If you have very serious issues, ask about hpylori and SIBO testing. For the rest of us who don't currently deal with major digestive issues, the important thing is to make sure that we are providing our gut with the things that it needs for healing and maintenance of this highly complex world of micro-organisms, chemical reactions and bacteria. Here are some suggestions I have found through my extensive research into this issue. First and foremost, we have to be very careful about what we put in our mouths. (There you go again. Straight to the gutter.) What I mean is we have to watch our diets. This could be minor changes for some, and for others, it may require radical change. There are probably thousands of different diets, but here are some of the commonalities I have seen that if we implement we will see great progress. Research prebiotic foods and incorporate into your diet. Irrigate. Drink more pure, clean water. Some and maybe all of us should consider reducing or eliminating gluten. 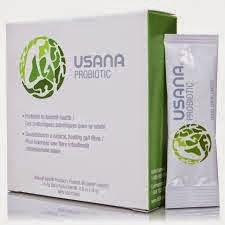 Secondly, find a high quality Probiotic such as the probiotics from USANA Health Sciences. Probiotics provide the beneficial bacteria that is needed by your gut to break down all those healthy foods you will be eating into the glucose and nutrients needed by your cells for optimal health. Using a trusted source such as USANA, will assure you are providing only the best to your body, and nothing else. If it seems overwhelming start with a couple of simple changes, then go from there. Follow your instincts and try to eat more healthy and take the USANA PROBIOTICS. Two simple changes that can get your "second brain" on a more healthy track. Believe me, whatever changes are necessary will be more than rewarded in how you will feel and in the problems you will be avoiding in the future. Have you heard of diabetes, Parkinson's, Alzheimer's, dementia, cancer, depression? These are the things we can help prevent by taking care of our gut.